• FMT offers a wide range of bipolar and monopolar cables for common electrosurgery instruments and generators. 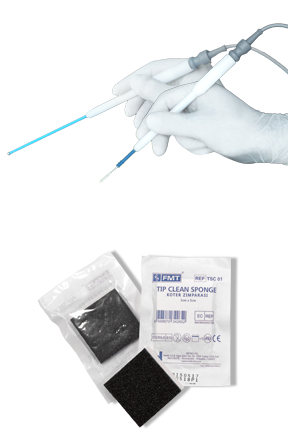 FMT’s electrosurgical cables are designed to be durable and long lasting while being easy to use and clean. • All are produced of high grade silicon with twined high quality copper to prevent memory in the cable. • Because of the high stranding of copper wire, FMT cables deliver more power to the instrument and perform longer without failure. • Bipolar and monopolar cables which have round cross section are double insulated with FEP to provide excellent electrical isolation. • FMT electrosurgical cables have heat pressed, permanent serial number to provide traceability during whole service life. 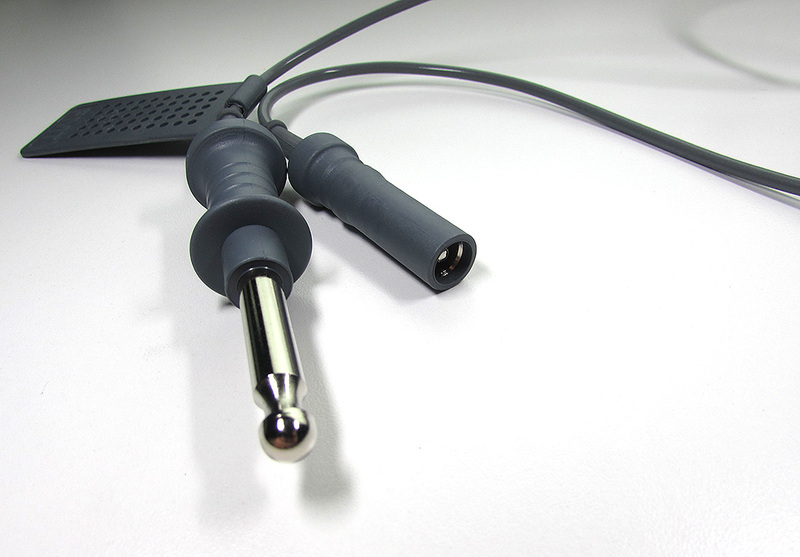 • The insert molded connectors of FMT electrosurgical cables are manufactured of TPU which has good thermal stability and eliminates occurrence of micro cracks in the plastic during autoclave cycles. • FMT electrosurgical cables have permanently attached plastic tags with fifty punchable dots to track the autoclave cycles history of the cable. 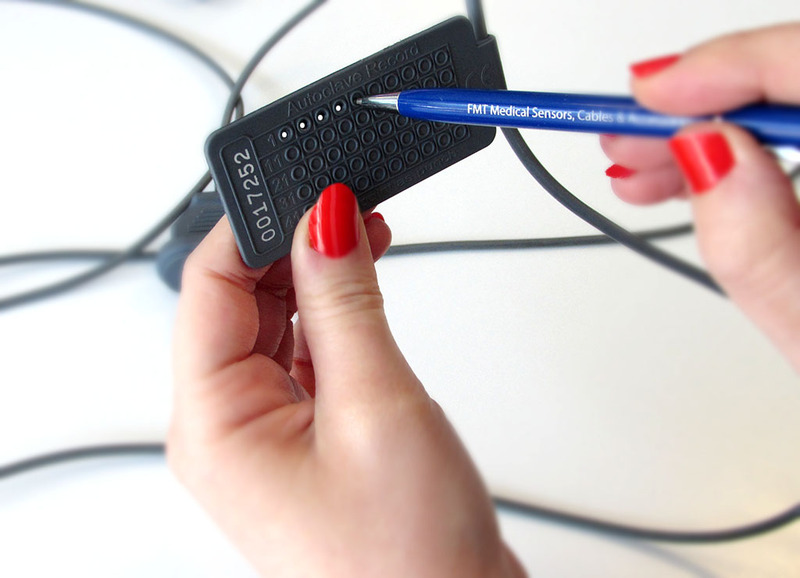 User can punch a dot in every time the cable is autoclaved and easily see and monitor product usage. • FMT electrosurgical cables are supplied in an unsterile state and can be sterilized at in the autoclave 134°C for 20 min. • FMT electrosurgical cables have the CE marking according to directive 93 / 42 / EEC and comply with IEC 60601-2-2. 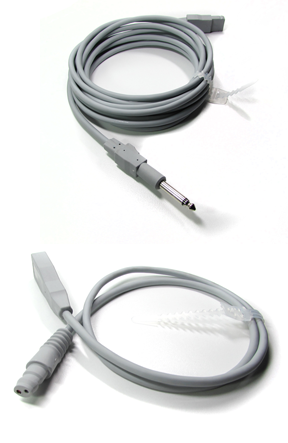 • FMT offers high quality compatible cables for MEGADYNE™ MEGA SOFT and MEGA 2000 Reusable Patient Return Electrodes. 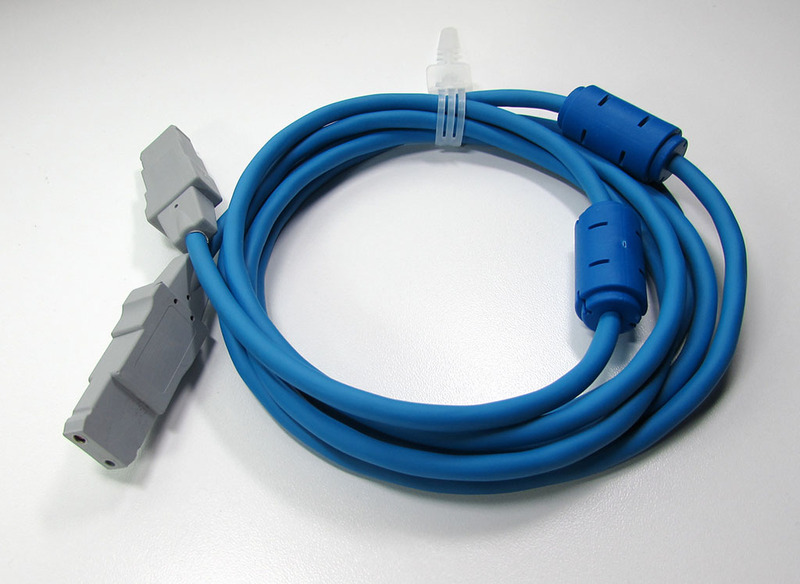 • FMT-MD1/24 (M2K-1)	Reusable Compatibility Cable, Standard Connector, 2.4m (8.0 ft) for Megadyne Mega Soft, Mega Soft Dual, Mega Soft Pediatric. 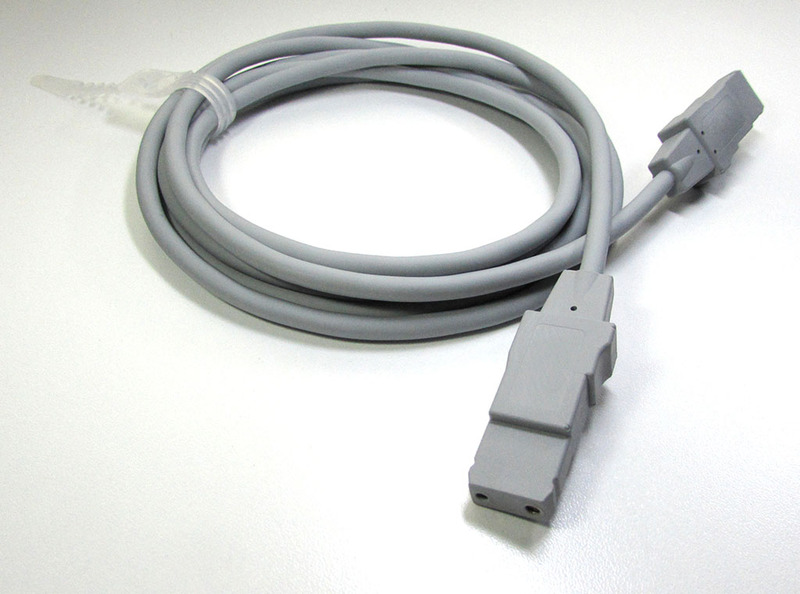 • FMT-MD2/44 (M2K-2)	Reusable Compatibility Cable, Standard Connector, 4.4m (14.4 ft) for Megadyne Mega Soft, Mega Soft Dual, Mega Soft Pediatric. • FMT-MD5/44 (M2K-5)	Reusable Compatibility Cable, Extended 6.35mm Phone Plug, 4.4m (14.4 ft) for Megadyne Mega Soft, Mega Soft Dual, Mega Soft Pediatric. • FMT-MD7 (M2K-7)	Replacement Pigtail Cable 0.82m (2.7 ft) for Megadyne Mega Soft, Mega Soft Dual, Mega Soft Pediatric. 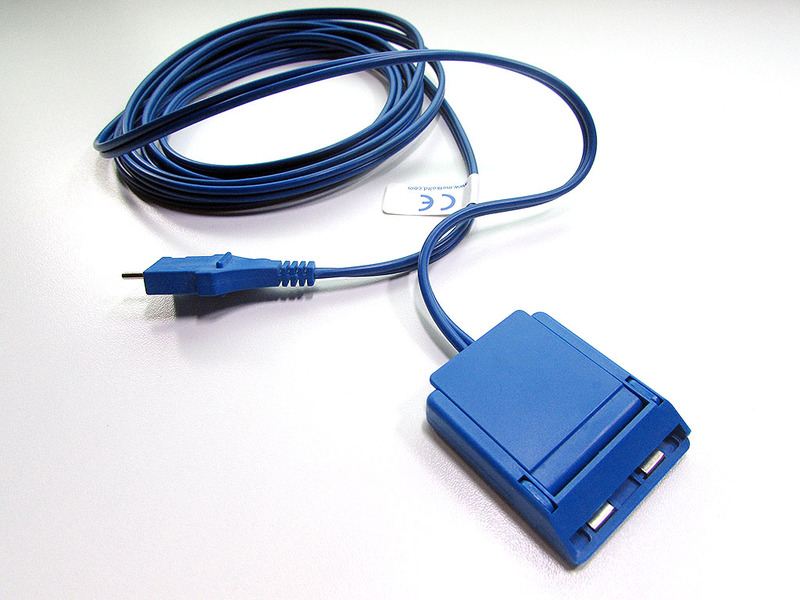 • FMT-MD8/24 (M2K-8)	Reusable Compatibility Cable, Standard Connector, 2.4m (8.0 ft) for Megadyne Mega2000. 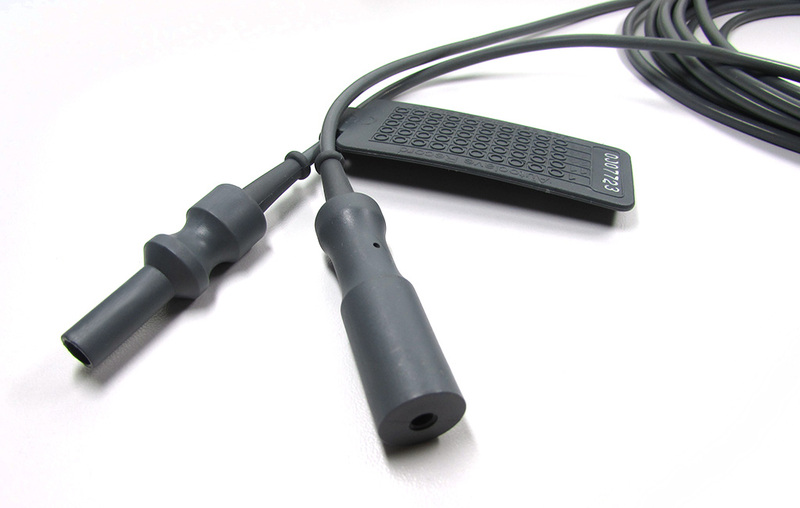 • FMT-MD9/44 (M2K-9)	Reusable Compatibility Cable, Standard Connector, 4.4m (14.4 ft) for Megadyne Mega2000. 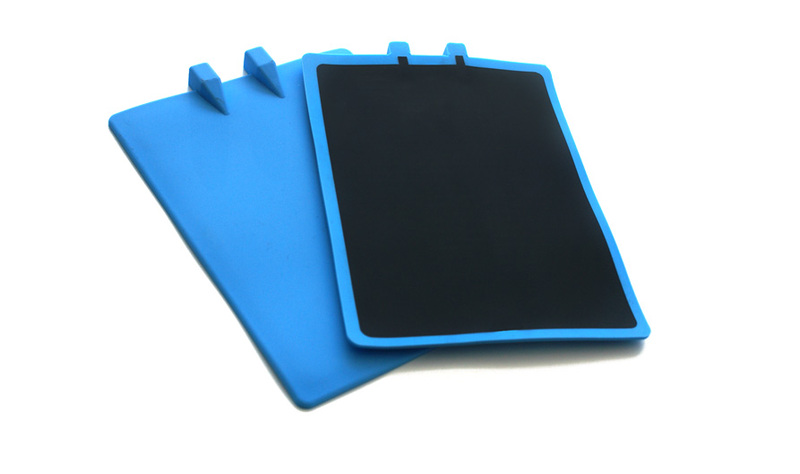 FMT offers high quality reusable grounding pads made of silicone which can be sterilized in autoclave. 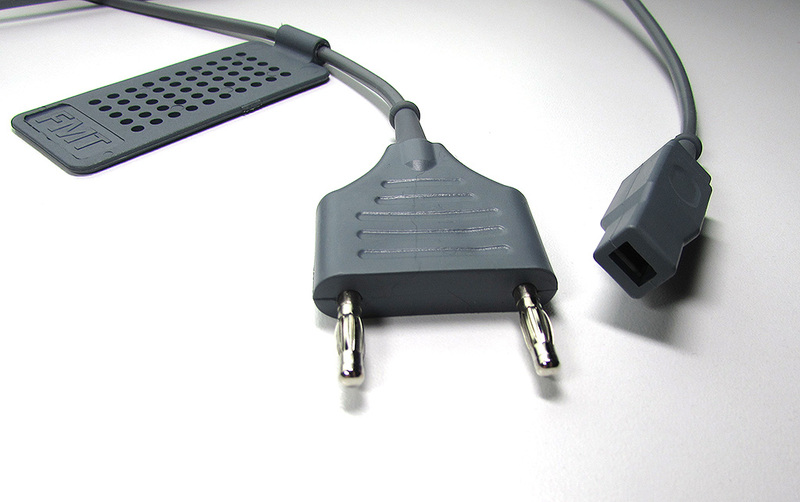 FMT silicone connection cables make grounding pads compatible with the most of the electrosurgical generators in the market. 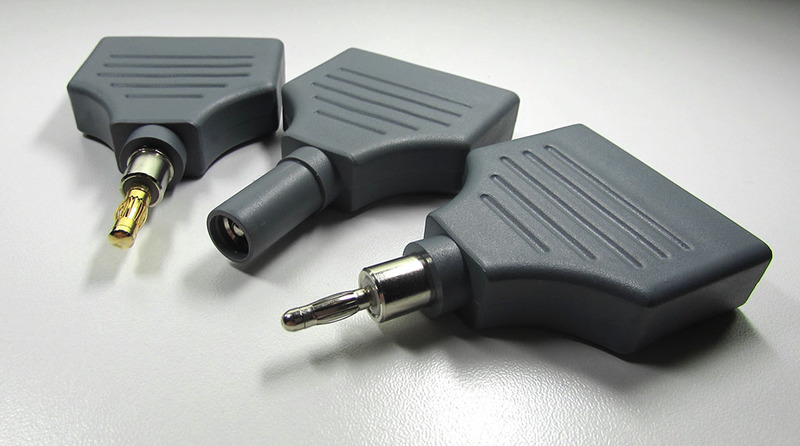 Reusable grounding pads are available in split (for use with generators with contact quality monitoring system like REM™, ARM™ and NESSY™) or solid style depending on the machines requirement for sensing. 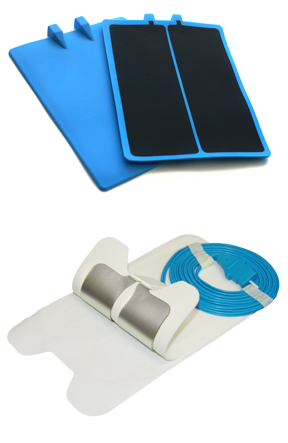 In addition to reusable grounding pads, FMT offers disposable pads for highest performance and excellent patient security. FMT disposable grounding pads (dispersive plates or electrodes) are available with or without cord, split or solid style and adult or pediatric sizes. 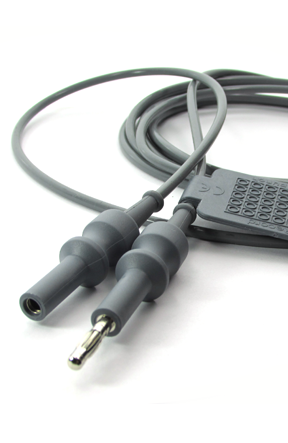 FMT also provides reusable dispersive cables (grounding pad cables or neutral electrode cables) to connect non corded dispersive pads to different electrosurgical generators. The standard easy to clean versions and the autoclavable versions are available. FMT autoclavable dispersive cables are made of silicone cable and temperature resistant plastics. Cable clamps for standard 25mm narrow electrode tab and 32mm Valleylab type large tab fitting are also available. • Reusable Autoclavable (134°C / 18 min. 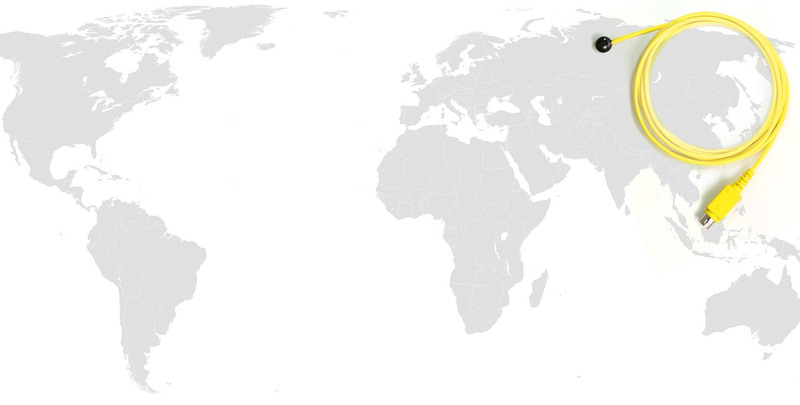 ), 100 uses minimum, non sterile. • Polyacetal (POM) Material, 14.5 cm length. • Machine Wash (operating room or laboratory). 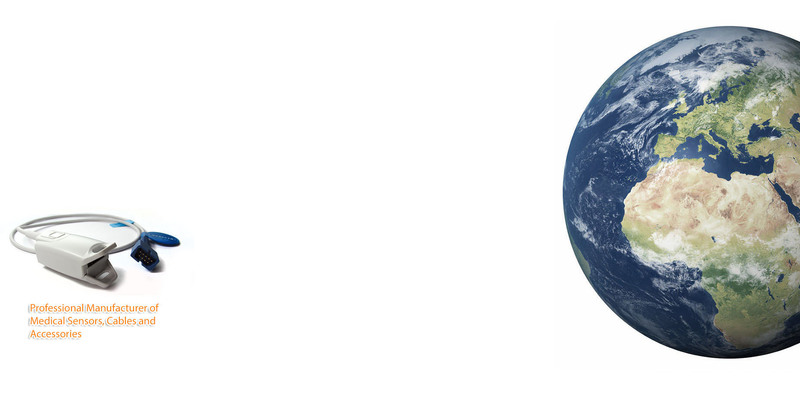 • Compatible with all generator types. 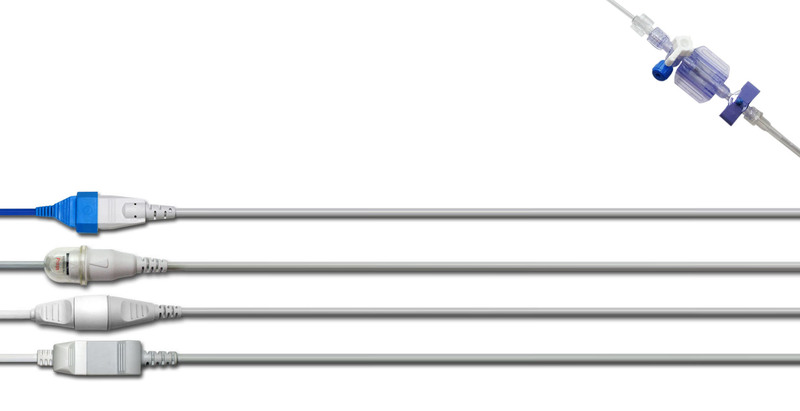 • Accepts all standart 2.40 mm (3/32 inch) or 4.00 mm (5/32 inch) shaft electrodes. • Without cable and steel blade. • Allows quick and easy instrument cleaning. • Polyurethane foam and pad with SiO2 powder impregnated textile abrasive layer. • Coated scratch pad eliminates disruptive scraping of electrodes or instruments for quick and easy cleaning of instrument tips. • Adhesive backed for universal placement. Adhesive backing provides secure placement on the mayo or patient drape. • Extended adhesive peel-off backing enables easy removal for gloved personnel. • Radiopaque barium strip allows X-Ray detectability. • Measures 5 cm x 5 cm (2" x 2"). • Sterile packaged. Sterilized by EtO gas. • Packing: 40 tip cleaner sponges per case.